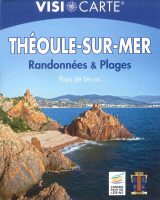 “What’s more exhilarating than discovering the country of Théoule sur Mer outside the box? On pedestrian and mountain bike routes – precisely! This is what this guide offers, valuable for the advice provided and useful for the wealth of information you find there. Far from the coastal bustle, you will enjoy the French Riviera which you do not dare to dream anymore. Whatever the reason, all your senses will be delighted by the luxuriance and variety of nature. Walk N°1 : GR 51 – From the” place Général Bertrand” (round-about next to the Town Hall) to the “Col de Théoule”. Approximatively 1h30 for the round-trip. 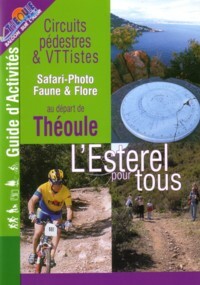 The track runs through a small valley dominated by the mimosas, and the ferns, then over a track with a balcony view of the Eastern part of the Esterel. Walk N°2 : From the “Col de Théoule” to “la place Vert Bisson”. 1h approximatively round-trip. Leading you through the maritime pines and the oak trees. The orientation table created by touring club of France offers you fantastic views of Italy down to Corsica. Walk N°3 : From the “Col de Théoule” to the “port de la Figueirette”. Approximately return 1 hour round trip. By a path sloping gently you manage you towards the sea. In the bend of the path magnificent point of view on creeks through pines and mimosas. Walk N°4: From the street of “Sanglier” to the “Col de Théoule” via “Notre-Dame d’Afrique”. Approximately 1:45 round-trip. Progress through the heather. Walk N°6 : There are 2 possible starting points, either from the road Abel Ballif or the Boulevard Eugene Dequay taking you to avenue Matisse (in Miramar). Approximatively 2 hours round-trip. A superb walk skirting the Corniche D’Or. you will discover through the pines splendid views on the village and the snow-covered Alps. 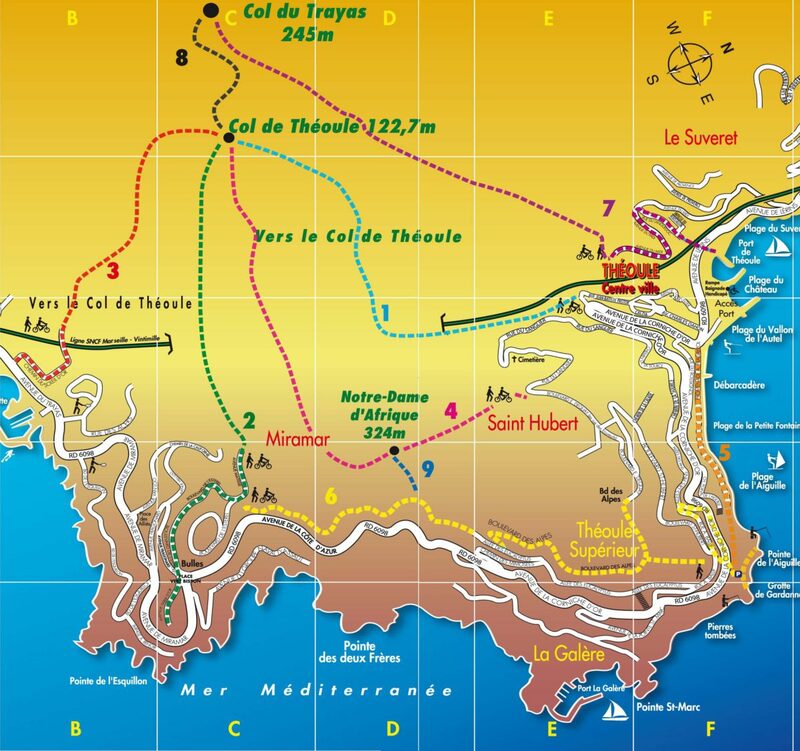 Walk N°7 : From the port of Théoule to the “Col du Trayas”. Approximately 1h30 round-trip. Take the tunnel passing under the railroad, continue by the street of “Languedoc” then avenue of “Midi”. Let guide through the forest of Eucalyptus. Possibility of continuing up to the “Col de la Cadière”. Walk N°8 : path connecting the “Col de Théoule” to the “Col du Trayas”. Approximately 30 minutes. On the return you can admire The “rocher des Monges” where the imprint of time marked the rock of often unusual sculptures.